In a climate of economic uncertainty, people naturally worry about their financial future more so than usual. For those settling personal injury claims, the fear is compounded because the stakes can be so much higher. To make matters worse, fearmongers with hidden agendas prey upon unnerved plaintiffs by spreading false and misleading information about settlement options under the guise of offering helpful advice. But, is unfounded fear a good enough reason to pass up a structured settlement opportunity? Probably not. So before rejecting any settlement option, it can be extremely helpful to look backward to see how people fared in other times of economic hardship. History can be a pretty good teacher if you take the time to understand its lessons. 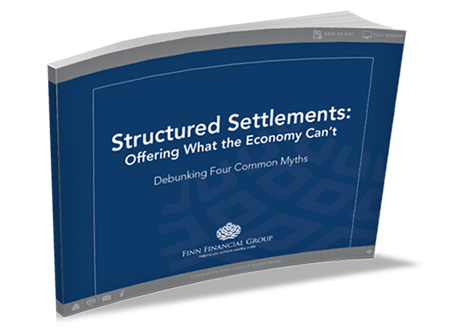 So, for the benefit and peace of mind of clients and the attorneys who represent them, let’s address a few of the more common misperceptions circulating about structured settlements today and put them in perspective. 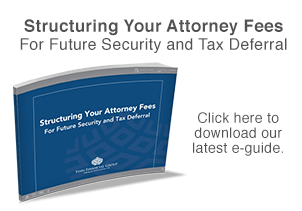 DOWNLOAD the STRUCTURE SETTLEMENTS E-GUIDE today!